Well, we’ve been giving updates on our recording process for a while now, but they’re all in Portuguese. I’ll try to give you an outline of what went on up until now. I made a deal with the studio owner. Since I’m (when I say I, I’m referring to me, Eduardo Mano) a graphic designer, I traded my work for some studio hours. The deal proved to be a good one. The studio isn’t the best in town, of course. We’re recording everything through Pro Tools, we have some decent gear and everything, but the studio isn’t all that… but it is ok. Since it’s our first recording and we decided to make it an EP instead of a full length CD, we’re very happy with what we got. 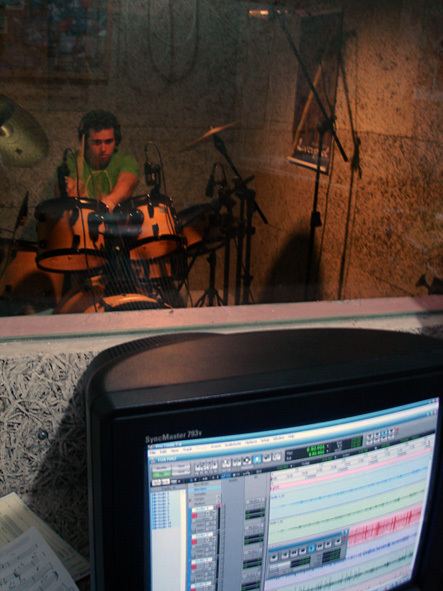 Yesterday (February 14th, 2007), we ended the drums sessions. It’s been 3 months since we started recording the tracks, but we’ve been to the studio only a few times, due to our schedule and all. I believe that now things are going to speed up a bit, and we should have the final product in a couple of months. 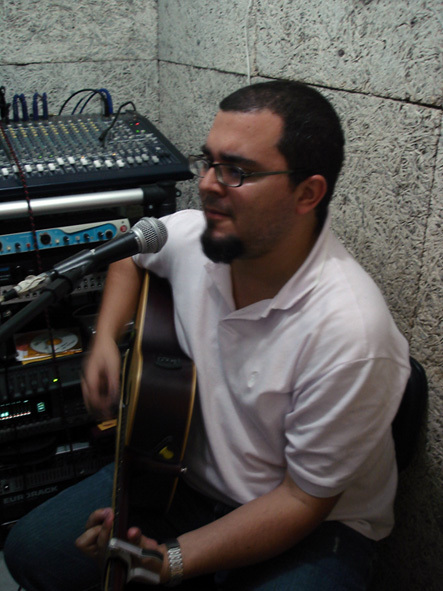 We have a lot of picture of us in the studio (if you want to see them, just go to the sidebars and, on the “search this blog” field, type FOTOS, which is Portuguese for photos), but I’ll post a couple of those right here. We have also a few videos, but we couldn’t decide what to do with them – a behind the scenes documentary or upload them all to You Tube… maybe we’ll do both. We hope this EP turns to be a blessing in the lives of those who listen to it. It is already a blessing to us. God has done a big work in us through those songs. Here are some pictures, we hope you enjoy them.